Christmas is proving to be an exciting festive season this year. While Sydney ramps up its festive celebrations in December, Melbourne is right up there with a host of FREE and ticketed family fun. In addition to the Christmas Day dining, there are installations and entertainment by the City of Melbourne, letter and photographs with Santa Claus, magical Christmas themed wonderlands and amusement areas, giant Christmas trees, carols in the parks and festive markets. Here are 25 top ways to enjoy Christmas in and around the world's most liveable city this year for the whole family. The Melbourne Town Hall celebrates the festive season all gift wrapped. Grab a photograph with the 3 metre tall toy soldiers during the day and return again at night when its facade becomes a backdrop for a festive light projection every 15 minutes from dusk till 11pm. Phone (03) 9658 9658 for more information. The Southbank Pedestrian Bridge will be transformed into the Mistletoe Kissing Bridge during the festive season. So remember to grab a loved one, take a walk along Southbank and stop for a romantic moment under the mistletoe. City Square will again be transformed into Christmas Square for the festive season. Take the family into the heart of Melbourne city's Christmas decorations with nutcracker soldiers, Christmas buskers and FREE photos with Santa by day and sound and light shows at night. Santa is available to meet the kids and take photographs daily from 10am to 12pm and 1pm to 3pm. On Friday, Santa will appear again from 4pm to 7pm. The nightly shows run from 9pm to 11pm daily. If you're looking for a way to contact Santa, then head over to Christmas Square on the corner of Swanston Street and Collins Street. Simply write a letter, place it in a self-addressed envelope with stamp and await a a reply from Santa himself. Remember that all letters must be addressed to: Santa, NORTH POLE 9999. Santa's Post Box is courtesy of the City of Melbourne and Australia Post. Phone (03) 9658 9658 for more information. Santa's Magical Kingdom is returning bigger and better this year after a sold-out 2013. Thanks to the large crowds of visitors from all over Australia, the event will be staged in Caulfield Racecourse. 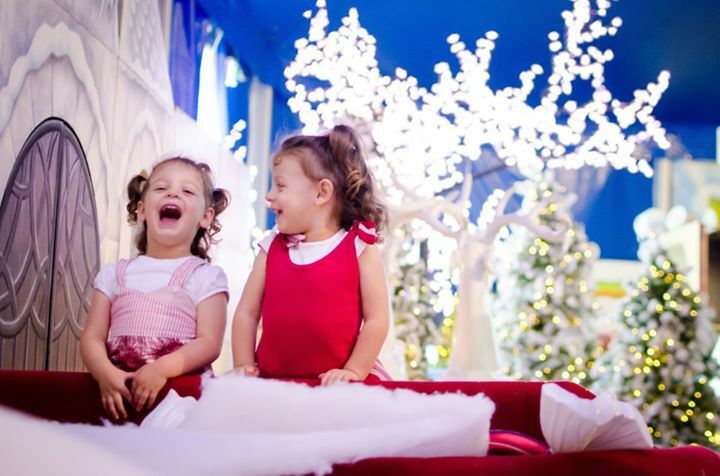 Some highlights of Santa's Magical Kingdom include an interactive walk-through experience, Snowland with an all new Snow Castle, brand new international Christmas circus, decorating your own gingerbread man at Gingerbread Land and of course Santa, Mrs Claus and roving Christmas characters. Each ticketed visit is for a 3 hour session according to your selected date and time. Phone 1300 307 740 for more information or check out the website for the detailed schedule and tickets. Mix Christmas shopping with fun for the kids at David Jones' Magic Cave. The little ones will be transported into one of the Christmas scenes using the Green Screen and have their Santa Photo experience on DVD. To enjoy the Magic Cave, simply book your choice of time to see Santa online or instore by leaving your name and mobile number. You will be contact via SMS when your turn is next. The Myer's Christmas Windows are up again and families can enjoy this year's theme of 'Santa Claus and the Three Bears'. The windows offer a new storyline with new characters and animations. This FREE exhibition is available till 5 January 2015 and open daily from 7.30am to 1am. Then head over to Santaland on level 6 of Myer Melbourne in the Bourke Street Mall where the kids have 15 minutes to get their FREE photos taken with Santa and enjoy a ride on the Santaland Express train during store opening hours. You can book your preferred date and time online to meet Santa or visit in-store by joining the queue. This event runs till 24 December. Phone 1800 811 611 for more information. Head over Melbourne Town Hall where the Page Not Found Exhibition will make way the annual Gingerbread Village by EPICURE in December. Everyone in the family can enjoy their favourite Melbourne landmarks made out of gingerbread by Executive Pastry Chef Deniz Karaca and his award-winning team from EPICURE. Over 2,000 hours were spent creating the Gingerbread Village. Gingerbread treats and ice-cream is also available for purchase onsite. Admission is FREE and a gold coin donation to Make-A-Wish Australia is appreciated. Head over to Federation Square for a season of FREE festive entertainment. It will be transformed by large, snow-white, spheres that will pop up throughout The Square. Designed by Melbourne-based design outfit, SIBLING this installation entitled 'Whiteout' will offer a snowy imagery often seen in cinema and TV during the festive season. Phone 03 9655 1900 or visit the website for more details. 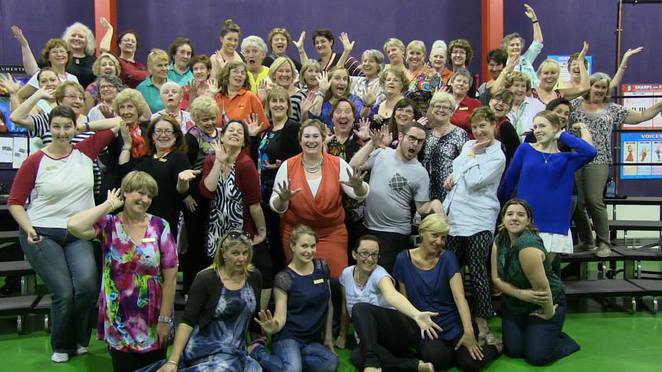 2 - 22 Dec - Choirs and singing groups from across Melbourne will be performing daily. Visit the website for the schedule. 2, 9, 16 & 23 Dec - Challenge your friends to a FREE video game play on the Big Screen every Tuesday from 6pm to 8pm courtesy of Freeplay Independent Games Festival. * 4, 11 * 18 Dec - Melbourne's emerging musicians will deliver FREE acoustic concerts every Thursday from 5.30pm to 7.30pm at The Square. 5, 12 & 19 Dec - Audio-visual masters Brigid Burke and Mike Burrieri will take to the stage at The Square and deliver FREE multimedia shows on the Big Screen every Friday from 4pm to 7pm. 6, 7, 13 & 14 Dec - Spend the afternoon from 2pm to 4.30pm making FREE Christmas baubles with artist Zoe Stuart at The Square. From 3pm to 6pm, illustration artist Jeffrey Phillips transform you and your family into playful sketches that you can take home. 25 Dec - Those who feel lonely on Christmas Day can enjoy brekkie from 9am - 11am with Breakfast Hop, games by Pop Up Playground and a FREE movie marathon on the Big Screen from 12pm onwards. Head over to Christmas Square at 10.30am to enjoy a blessing of the Nativity scene and listen to Christmas carols sung by the Australian Youth Choir. 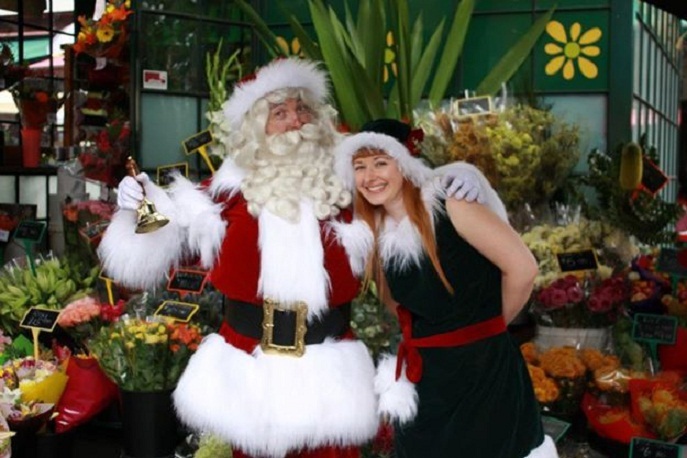 Queen Victoria Market will be sharing the Christmas spirit with lots of FREE festive entertainment and activities for families throughout December. 3 Dec, 5pm - 10pm - Christmas is welcomed to the market with the lighting of the giant Christmas tree and a visit by Santa Claus in the Summer Night Markets. 4, 11 & 18 Dec, 8am - 4pm - Don't miss the Thursday Christmas Market if you're looking for unique artisan creations as presents. This dedicated Christmas market organised by Craft Markets Australia will feature loads of specialist Christmas traders and a large variety of festive wares in L Shed. 6, 7, 13, 14, 20 - 24 Dec - 10am - 12pm - Head over to Therry St Plaza and grab photos with Santa. The Holy Trinity Anglican Church in Balaclava is hosting its annual Christmas Tree Festival. This community event is where Christmas Trees of all themes are presented by schools, families and local groups. For a gold coin donation, everyone is welcomed to wander through the church filled with decorated Christmas trees from 4 to 7 December. You can also join in the 4 December dinner among the Christmas trees and the 5 December concert among the trees for a fee. For more information and tickets, phone 03 9531 1562 or visit the website. 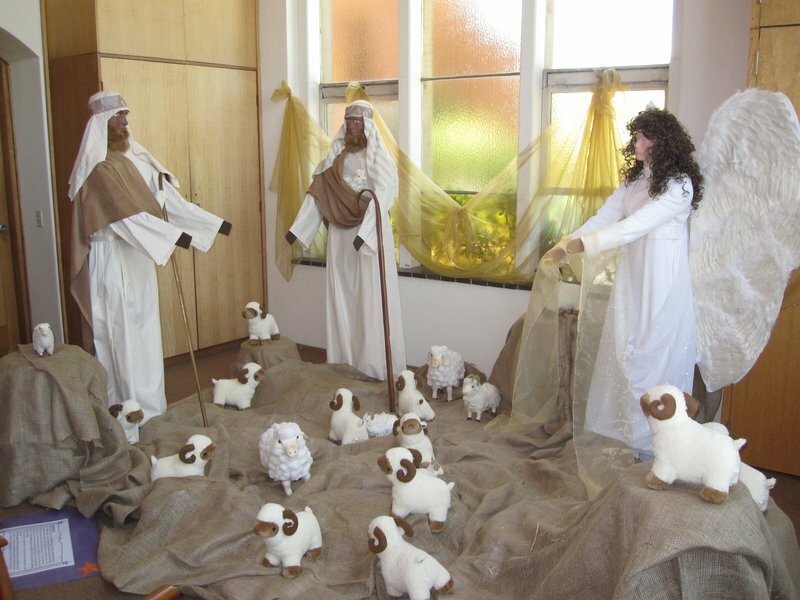 Burwood Uniting Church invites everyone to reflect on the true meaning of Christmas. It is presenting a series of interactive artistic displays that tell the traditional story of Christmas. It also incorporates modern cultural celebrations of the festive season. You can walk through the displays, explore the Christmas tree forest, enjoy music from the Hawthorn Band and sample treats from the stalls. All proceeds support the Christmas Bowl Appeal. The Hawthorn Arts Centre will come alive with the voices of the award winning Melbourne Chorus as they present "An A Cappella Christmas". The group has been entertaining audiences in Victoria for over 30 years with a repertoire ranging from the classics to modern day pop songs, all sung in the Barbershop style. This performance will also debut it's Christmas Chorus and A Cappella Quartets and groups. Don't miss this afternoon of entertainment, laughs and fabulous range of Christmas and popular songs from the classic "Gaudette" to Pharrel Williams' hit "Happy". Phone 03 9278 4770 or visit the website to purchase tickets. Watergardens Town Centre is celebrating the festive season with lots of entertainment for the family, including a special digital interactive clock built in as part of Santa's new forest setting. At 12pm each day, its face will feature a Christmas show with dazzling animatronics every hour thereafter. 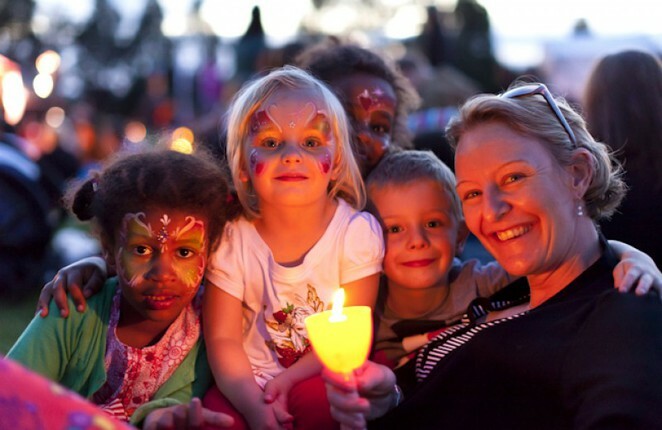 In addition to the spectacular clock, Watergardens will host a FREE carols with fairy floss in Town Square. Head over to Watergardens Town Centre on 13 December between 4pm to 8pm and sing along to your favourite Christmas carols with Music Academy, St Albans East Primary School, Kstar Evolutionz, Instrument Fusion, The Potter House Burnside, Bkode, Nicole Condos and many more. Visit the website for more events at Watergardens. The School of Hard Knocks will present their Spectacular Christmas Spectacular 2014 at the Melbourne Town Hall. The organisation provides high quality arts, cultural and wellbeing programs for disadvantaged people. 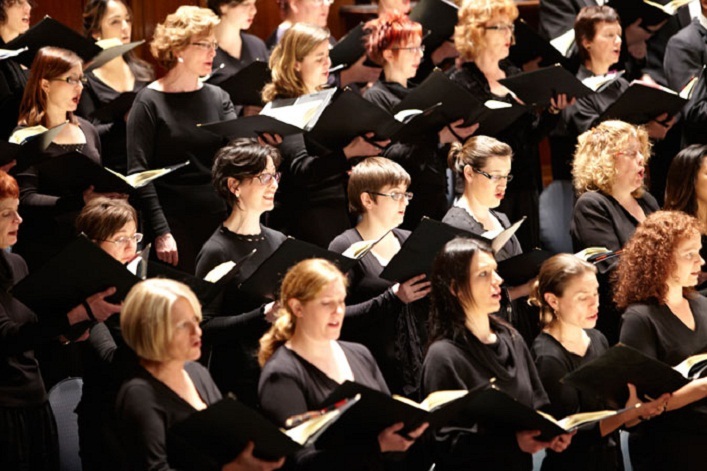 Conducted by Jonathon Welch, this event will bring artistes like Rosamund Illing, Roxane Hislo, Danielle Matthews, the Footscray/Yarraville City Band, Absolutely Everybody Massed Choirs together with David Johnstone on the Town Hall Organ. The proceeds support the School of Hard Knocks and provide arts and cultural programs for the disadvantaged. Visit the website for more information and tickets. Head over to Northcote for a FREE family night out with 'Carols in All Nations' hosted by the Darebin City Council. 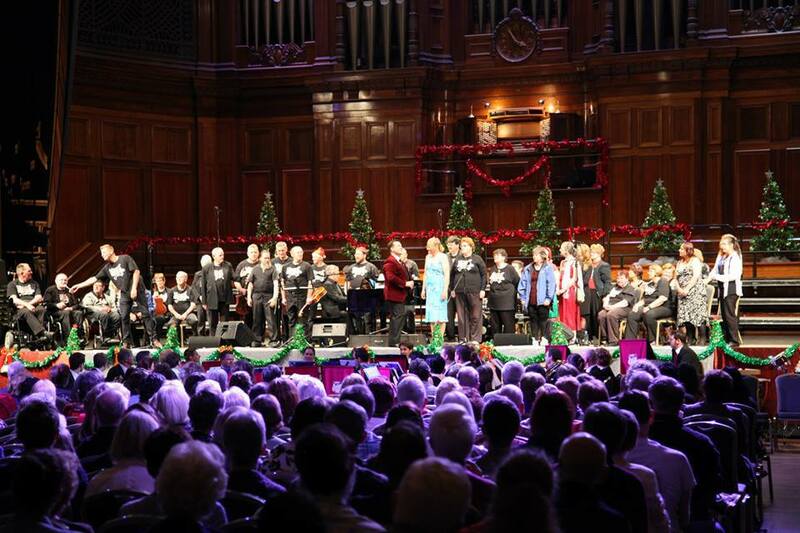 While it may not be the Darebin Music Feast, there will plenty of performances and opportunities to sing along with the ARC Christmas Choir with Darebin City Brass, Brunswick Women's Choir, Coro Furlan, Uke 4 Kids Family Orchestra and High Street Bells Choir. This community event will also feature a sausage sizzle and market stalls. The Melbourne Symphony Orchestra Chorus will present a unique musical experience on 13 and 14 December for the festive season conducted by Matthew Halls with Siobhan Stagg (soprano), Christopher Field (counter-tenor), Richard Butler (tenor) and Christopher Purves (bass-baritone). 'Messiah' offers a message of belief that continues to resonate through time through musical moments such as Rejoice greatly, the Hallelujah chorus, I know that my Redeemer liveth and The trumpet shall sound. Don't miss this dramatic story of faith, suffering and redemption, all part of a masterpiece of the Baroque. Tickets are from $55. Phone 03 9929 9600 or visit the website for more information and bookings. 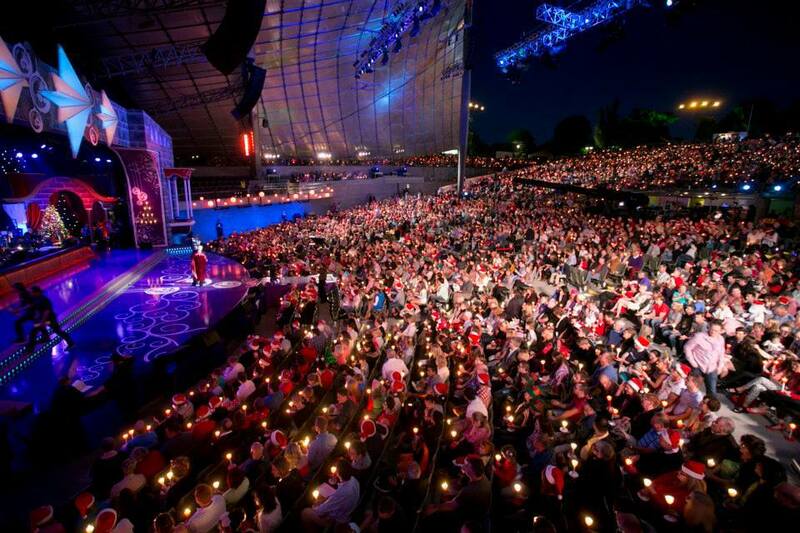 Head over to Deakin Edge in Federation Square for the 8th annual Hello Music Carols by Daylight. This sing along Christmas Variety Concert promises fun for the whole family with top Melbourne artists and young emerging talent. It is also an annual televised event broadcasted on C31 and Digital 44 on Christmas Eve and Christmas Day. Visit the website to purchase your tickets. 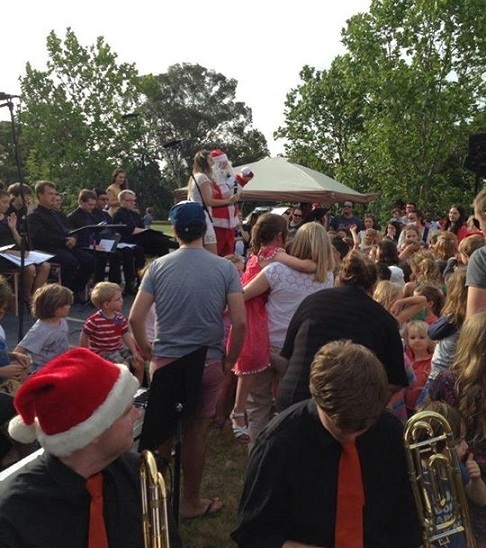 Boroondara Brass invites everyone to join in its annual "Carols in Grace Park" in Hawthorn. Sponsored by Park Lawyers, Fletchers Real Estate and Balwyn North Veterinary Hospital, this FREE family event helps to bring the Hawthorn and Glenferrie community together and celebrate the Christmas season. From 5pm to 7pm, you can enjoy a sausage sizzle, performances by Boroondara Brass, Exaudi Youth Choir and students from Auburn Primary School and Wattle Park Primary School, and an appearance by Santa Claus. Head over to Acland Court where you and your family can take a 'Selfie with Santa' on 19 and 20 December. A 'Santa Station' will be set up with props like reindeer ears, palm trees, elf ears to make your photo even more memorable. Then sit in Santa's chair and snap a selfie using your own smartphone or camera for a gold coin donation to local charity, Sacred Heart Mission. 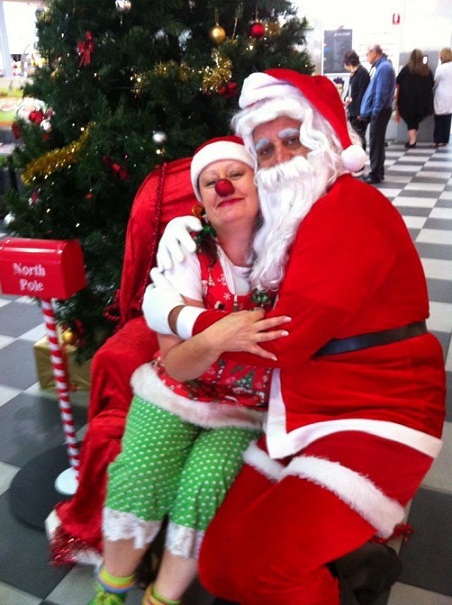 Santa will also be joined by Crumpette the Clown who will entertain the kids with games and face-painting is available with a gold coin donation to Sacred Heart Mission. 'Like' Acland Court on Facebook and upload your Christmas pictures for a chance to win an Acland Court gift voucher valued at $200. Vision Australia's Carols by Candlelight returns to celebrate the festive season with song at the Sidney Myer Music Bowl on Christmas Eve. Running for 76 years in 2014, this family tradition continues to offer a night of stunning live performances. Get ready to celebrate the spirit of Christmas with leading Australian artists like Marina Prior and Harrison Craig. All proceeds from the show will go towards supporting kids who are blind or have low vision. Phone 1300 847466 for more information or visit the website to book your tickets. Looks like a lot of magical events. Where abouts is Christmas Square event held?